Applicants like Mahmud Ghasemi Bijan, a PhD student in electrical engineering at Concordia University, received an email this week saying that their applications are on hold. People who applied to Quebec's skilled workers program in the hopes of becoming permanent residents are now unsure what lies ahead since finding out Thursday that the Quebec government plans to jettison a backlog of 18,000 applications. Applicants like Mahmud Ghasemi Bijan, a PhD student in electrical engineering at Concordia University, received an email this week from the province's Immigration Ministry notifying them that their applications are on hold. "I was shocked and confused," Ghasemi Bijan said. He moved to Quebec from Iran on a student visa in 2016 and then applied to the skilled workers program in August of 2017. Rajendra Thike, who is from Nepal, is a friend and colleague of Ghasemi Bijan. Thike applied to the same program last May. Both of them love living in Montreal. "We are integrated to this city," Ghasemi Bijan said. "We know everything; we know the snow on the street; we know the jazz festival." Receiving the message was frustrating and disappointing, he said. "Instead of finding a solution, they are just moving everything to one side," Ghasemi Bijan. "I'm frustrated. I'm disappointed." The bill still needs to be voted into law by the National Assembly, where the CAQ hold a majority of seats. The message from the Immigration Ministry directed them to re-apply when the new system is in place, which the province's Coalition Avenir Québec government promises will better match workers with available jobs. According to the email, the waiting period will be six months. 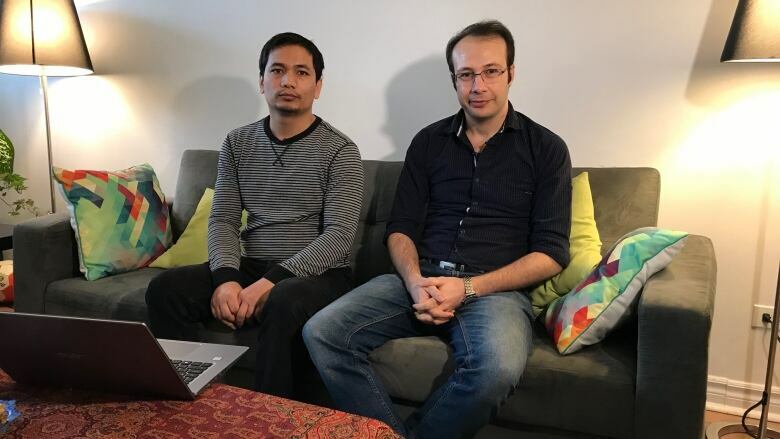 Both Ghasemi Bijan and Thike said the proposed immigration reforms make them feel unwelcome and they are considering moving to another province. The proposed changes to the immigration policy will emphasize French-language skills and regional labour needs, in addition to throwing out a backlog of 18,000 applications from skilled workers. Quebec's Immigration Minister Simon Jolin-Barrette said this week that the goal of the proposed legislation is to start fresh with a more "personalized" policy that addresses the worker shortage. Bill 9 also focuses on immigrants adopting the "democratic values and the Quebec values expressed by the Charter of Human Rights and Freedoms." On Friday, the federal government said it's against imposing conditions on immigrants seeking permanent residency. "More analysis on Bill 9 is needed, however we do not support the reintroduction of conditional permanent residency," said Intergovernmental Affairs Minister Dominic LeBlanc, in a statement Friday.